Ariana Grande is in the midst of her Dangerous Woman Tour. 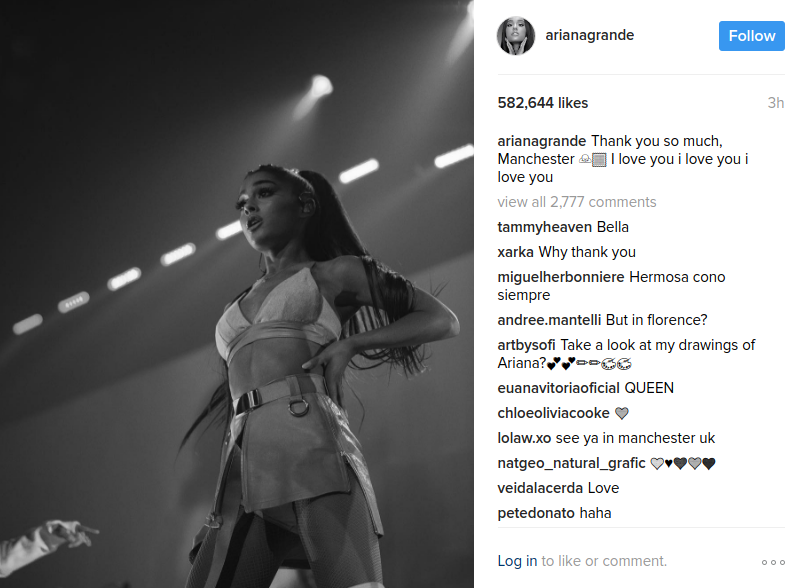 During her Manchester show, Grande called rapper BIA her sister and took to Instagram to share more love. Ariana Grande may be a dangerous woman, but she is also a great friend. Especially to rapper BIA, whose real name is Bianca Landrau. BIA is a rapper, singer, songwriter and model, who made her debut on the reality show, Sisterhood of Hip Hop. She started her singing career in 2014 and her most recent single is called “Gucci Comin’ Home,” which is an homage to Gucci Mane. She recently joined Ariana Grande’s Dangerous Woman Tour, stepping in for Little Mix, who were unable to perform as they attended the Brit Awards.